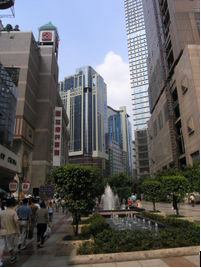 Chongqing is the economic hub of southwest China and the fourth municipality in China (after Beijing, Shanghai and Tianjin). 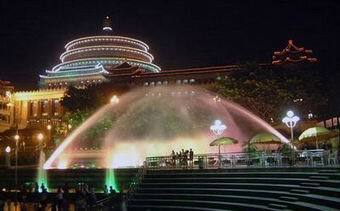 Chongqing became the fourth municipality in 1997, when it began to undergo accelerated development. It enjoys an average annual GDP increase of 9.5%, which is higher than the national average. 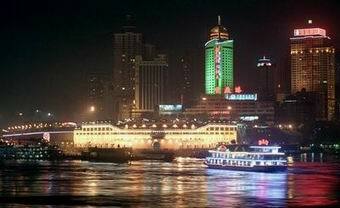 Chongqing is situated in the east of southwest China, about 2,500km up the Yangtze River from Shanghai. Under its jurisdiction there are 40 districts, cities and counties. It covers an area of 82,000 square kilometres with a total population of 31 million. Nearly 6 million people live in its urban core. The downtown of Chongqing lies at the point where the Yangtze River and the Jialing River merge. Known as the Mountain City, the whole city is built against a backdrop of hills and water, characterized by zig-zagging roads and overlapping houses. Chongqing belongs to sub-tropical monsoon climate. The features are warm winter, hot summer, early spring and short autumn. Annual average temperature is around 19.2 degree centigrade. The average lowest temperature is 6-8 degree centigrade in winter. The average highest temperature is 27-38 degree centigrade in summer and the extreme temperature can reach as high as 43.8 degree centigrade. Hence it has been nicknamed the Furnace City. Chongqing is also called The Foggy City. There is much fog from the end of autumn to early spring with at least 68 foggy days a year. Chongqing is also one of the cities with shortest sunshine time in China. The annual sunshine time is 941.9 hours. With heavy industry as its backbone, pillared by five major industries (the machinery, metallurgy, chemical, textile and food industries), Chongqing is the largest industrial city and the land and water transportation hub of southwest China. 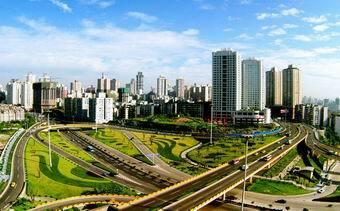 Chongqing is endowed with a convenient communication in the field of water, air and land transportation. In terms of the water transportation, since the city is located at the confluence of the Yangtze and Jialing rivers, ships and boats can navigate their way upstream from coastal cities and ports on the lower reaches of the river all the year round. With over 100 cruise ships that begin their itineraries in the city, Chongqing is the best place to start a Yangtze River Cruise tour. 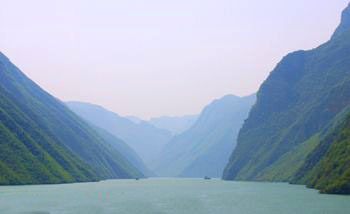 Cruising down China's longest river, the Yangtze, passing through the famous Three Gorges, is one of the highlights while travelling in China. Chongqing's hot spicy food is famous. The most well-known dish is hotpot, a pot of boiling broth into which you put various uncooked food items. The meal always takes a long time to cook, so it is good to eat it in the company of others. Chongqing is located on the upper reaches of the Yangtze River at 105° 17'-110° 11' E longitude and 28° 10'-32° 13' N latitude. 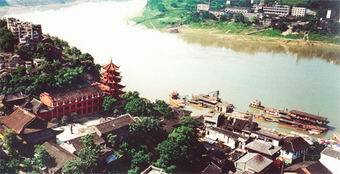 For a long time Chongqing has been the transportation hub for villages and cities along the Yangtze River, as well as the southwest regions of China. It covers an area of 23,000 square kilometers including 158 sq km of urban districts. Chongqing's terrain slopes from south and north to the Yangtze River featuring hills, flat land and mountains. With beautiful hills and mountains the "Mountain City" has long been reputed for its wonderful scenery. Chongqing has a sub-tropical humid monsoon climate with four distinct seasons. Summer is hot and winter is warm, with a long frost-free period. The annual average temperature is around 18.4C° with 6-8C° as average temperature in winter and 27-29C° in summer. The four seasons in Chongqing are characterized as a warm winter, a hot summer, an early spring and a short autumn. With plentiful rainfall, the annual precipitation is 1,000-1,400 mm. and it rains in the night when spring is changing into summer. Chongqing is rich in natural resources with reserves of more than 40 minerals including alumina, halite, strontium, pyrite, manganese, and barium, etc. Chongqing is a production base of high quality natural gas, and produces 7.5 million KW of hydroelectric power. Chongqing has a strong manufacturing base, producing a wide range of industrial products. Light and heavy industries supplement each other, covering almost all sectors. Its backbone industries include mechanical industry based on manufacturing of automobiles and motorcycles, chemical industry focused on natural gas and pharmaceutics, and metallurgic industry represented by high quality steel and aluminium. Chongqing also boasts its high technologies including electronics, IT, bioengineering, environmental protection, optical-mechanical-electrical integration, and new materials. Other industries are also developed, such as equipment manufacture, building materials, food processing, etc. The total population is 30,996,900 with a rural population of 24,456,600 and an urban population of 6,140,300. Chongqing natives speak a dialect of Southern Mandarin Chinese, which is said to be "quite unintelligible" to speakers of Northern (Standard) Mandarin. People speaking the Chongqing dialect are said to talk fast, direct and manly, while the softer sounding dialect in nearby Chengdu is compared to the speech of young girls. Traces of man's presence in this area have been found from as far back as the end of the Old Stone Age 20,000 to 30,000 years ago. From the beginning of the Shang Dynasty (16th century B.C.) to the close of the Warring States Period (221 B.C. ), it was the capital of the state of Ba. 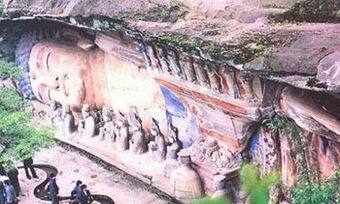 From the Qin Dynasty through the Eastern Han Dynasty (221 B.C.-220 A.D.), it was a prefecture also known as Ba. During the Sui and Tang dynasties, (581-907 A.D.), it was known as the sub-prefecture of Yuzhou, hence its standard byname "Yu". Subsequently, during the Northern Song Dynasty (960-1127 A.D.), it was renamed Gongzhou. In 1189, during the Southern Song Dynasty, Zhao Dun, later the Guangzong Emperor was given the title Prince of Gong. Regarding this as an exceedingly joyous event, he upgraded its status to that of a prefecture and renamed it as "Chongqing" or "Double Celebration", the name it carries to this day. The Ming and Qing dynasties (1368-1911) saw goods spin in and out of the city as merchants from the four corners gathered. In 1891 Chongqing became an open port and a customs house was established there. Shipping and trade and the financial and processing industries grew steadily more prosperous as the city came to link southwestern China and the upper reaches of the Yangtze River with the rest of the world. 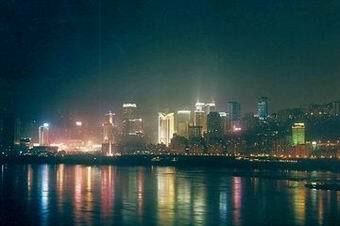 In 1929 Chongqing was formally declared a city. Following the outbreak of the War of Resistance Against Japan in 1937, the Guomintang (KMT) moved the government from Nanjing to Chongqing. In 1939 the city was elevated to a municipality under the Executive Yuan. 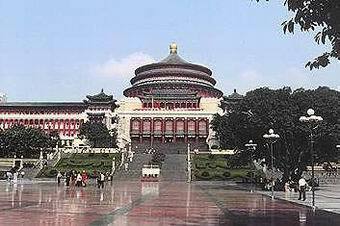 From 1940 till 1946, it served as the wartime "provisional capital" for the KMT government, becoming China's political, economic, financial, commercial, transportation, cultural and diplomatic center. The city was liberated by 1949. * Note: 1) Best image size: 610 px in width. 2) Duplicate info will be deleted.